Construction will soon begin on the Science Discovery and Education Center at the City University of New York's (CUNY's) Advanced Science Research Center (ASRC) at City College's science campus in New York City. The center seeks to inspire, engage, and enrich high school and college students by emphasizing the human element of cutting-edge scientific research. CUNY's overall goal is to promote understanding and passion for high-end science and strengthen the STEM pipeline by providing educational opportunities for students. The ASRC hopes that visitors to the center will leave with an improved understanding of 21st century science — its everyday relevance, fundamental concepts, and related career opportunities. The center's interactive learning space features eye-catching media and hands-on displays that showcase the fundamental elements and real-world applications of research being conducted at the ASRC. The immersive exhibit, which includes a 25 ft. wall display, highlights the interdisciplinary nature of modern science and how research is relevant to daily life. Flad provided architectural design services and project management for the center. 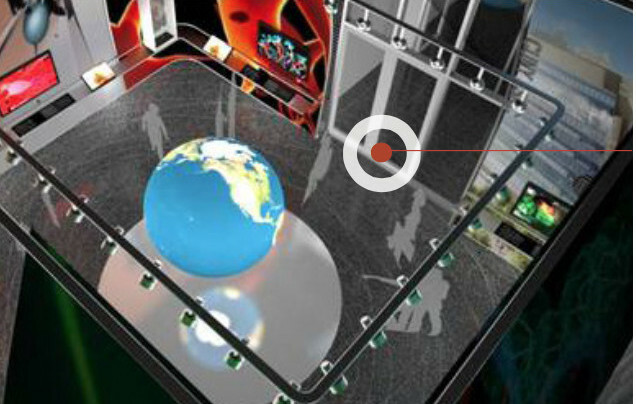 Working with Liberty Science Center, Jersey City, NJ, the lead exhibit designer, Flad developed an exhibit space where visitors are completely immersed in science-inspired forms that line the perimeter of the room. An artistic blend of visual media and data projection, the forms are displayed above the heads of visitors on large sculpted structures. The projected images move, react and transform, mirroring shapes such as the organic connections between neurons in the brain. Visitors navigate through their own personal "activity zones" to view images, videos, and data derived from research. 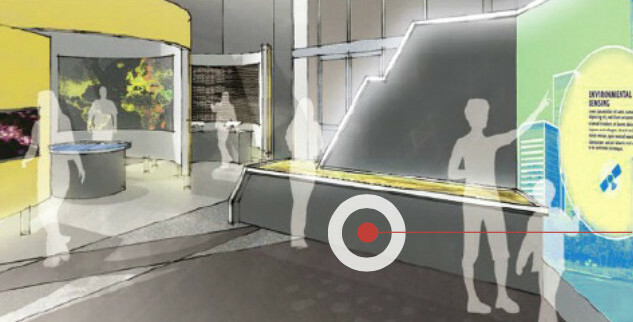 Beyond the new educational center, the ASRC targets strategic initiatives in five distinctive but increasingly interconnected disciplines—Nanoscience, Photonics, Structural Biology, Neuroscience, and Environmental Sciences. Researchers in these fields collaborate daily to address critical societal and scientific challenges, sharing the most advanced equipment available. CUNY's ASRC/City College Center for Discovery and Innovation is a multidisciplinary complex that accommodates flexible research labs, lab support spaces, shared specialty core facilities, and offices. The LEED Gold project is the centerpiece of CUNY's "Decade of Science," a comprehensive plan to position the university as a premier research institution. For more on the ASRC, download this brochure.